Scituate, another of the coastal towns of the south shore. You will find hiking trails here anywhere from along the coast to the western wooded section of town. This town of the south shore juts out into the sea more than the others. Anyone that lives here will tell you Scituate is battered the hardest by storms especially in the winter when wind, snow and high tides create a perfect storm regularly for this town! wrecked off of this town's shoreline. Being right on the coast the best way to navigate here is by route 3A as all the coastal towns are on the south shore. Route 123 is another major route into town. Scituate is one of the oldest towns on the south shore. Settled only a few short years after the Plimouth Colony and was the originating place of a group calling themselves the Conihasset Partners. 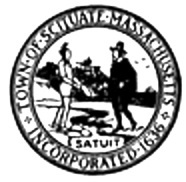 Scituate was a much larger town in those days and the business of settling this area of the country was established by many who lived here. Scituate is rich in history, being the mother town of many towns and areas of the south shore, sharing in their history as well. If you have read or know the history in and around Plymouth, you know there had been a large Native American presence here before the European settlers arrived. Their numbers had been decimated due to small pox and many left the area. It was not long before some of the inhabitants of Plymouth ventured out and found Scituate with it's landmark cliffs. Those who came planted crops in the fields the Indians had left behind. In 1633, they established the center of town by building a road and allotting spaces along that road to householders forming a company. At that time they were under the jurisdiction of the general court of Plymouth. By 1636 the population increased enough to incorporate into a town and establish it's boundaries. Old Scituate included the modern day Norwell, parts of Hanover, Pembroke, the two mile section of Marshfield and what was known then as the Conihasset Marshes in present day Cohasset. 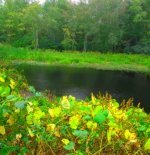 The name Scituate is taken from the Satuit Brook that runs through the town and lets out at the inner harbor. The Wompanoag Indians named this brook Satuit meaning cold brook. In the earliest days it took on many versions of this name but in 1640 the present day spelling and pronunciation was agreed upon. The earliest industry in town as with many of those first settlements on the south shore was farming. Here the harvesting of salt hay played an important part. Clearing fields by hand was close to impossible, animals were needed and the hay fed those animals. During the early settlement days, a northern section of town was set aside in the Conahasset Marsh area for certain persons. Timothy Hatherly, being one of these certain persons, bought the remaining tracts from those who it was granted to. He then divided it into 30 shares of which a quarter he held for himself. He sold the rest to individuals of a company known as the Conihasset Partners or Proprietors. The Conahasset Proprietors carried on as a government with their own functions and building of roadways. They kept their own records, even though they were part of the town of Scituate, no controversy arose over their actions as they had the interest of the town as their priority. When their group disbanded and held it last meeting all their actions reverted to control of the town of Scituate. Any peace in this town was disrupted in 1676 during King Phillip's War. In this war Scituate suffered heavily losing many men in an ambush led by Scituate resident Capt. Michael Pierce. Then in May of that year an Indian war party attacked the town destroying twelve homes and a saw mill. Industry in the town soon turned to the sea. Fishing and sea mossing fueled the economy in this town into the 1800's. Meanwhile, many centers of town were established with houses having small farms behind their houses they worked part of the year and the other half they fished. The height of this industry was during the civil war days. Along with the fishing industry came the ship building industry. Starting around 1640 and lasting til 1871. Shipyards dotted the North River and those who built these vessels were in high demand. The most famous ship was built in Scituate in the area now known as Norwell and manned mostly by Scituate men, the Columbia. This ship navigated the world leaving in Sept. of 1787 with Captain John Kendricks of Scituate and returning in Aug. of 1790 with a different captain,Robert Gray having sailed 42,000 miles! During the Columbia's sail it visited the west coast where Capt. Gray took charge of the ship. A river was discovered and named after the ship. Another interesting bit of Scituate history is the story of Rebecca and Abigail Bates. In 1810 a lighthouse was built in the northern section of Scituate. The father of these two girls was the keeper of the lighthouse and the family lived here. During the war of 1812, a British naval ship the La Hogue came along the shore, sending a party out with an obvious intent to burn the town down, thinking the town was left unguarded. The two girls having learned to play the fife and drum used by the militia, alone at the lighthouse went out to play yankee doodle. They spooked the incoming party to thinking a garrison was on the way out to meet them. The town burning party turned around and left. History calls them the Army of Two. There's a new town site designed to promote recreation, the historical value of the town and it's businesses.